We have spent an immense amount of time exploring the depths of the oceans and the vast universe. We have scanned every corner of the earth and our solar system. We have spent so much time exploring and understanding everything around us, and yet we know so little of ourselves. In the current time we are living in, one of the most challenged aspects of our reality is our relationship to ourselves. This is where our attention is most needed for us to evolve to the next step in our evolution. In my view, self-awareness lies at the root of our spiritual awakening path. The truth behind this awakening lies in the awareness of our journey back home. When understood this is the awareness of our own natural inner vibration, the acceptance of that unique vibration and then the actualization and individuation of that vibration. We all have within us the true, undistorted, natural inner vibration. Who we naturally are without any conditioning. As we slowly begin to move upward into the age of light, the frequency on our planet will rise and awakenings will intensify. The more we connect with our own true nature the more we are able to understand ourselves as transcendent beings. The greatest teacher, when learning about ourselves is through our relationships. They are the mirror in which we see ourselves. The more intimate the relationship, the closer we are holding that mirror. This is why we are demanding more of our relationships as we ascend and understand more of ourselves. Our intimate relationships become more and more important in our journey of self-realization. This energetic interaction is a vital part of our evolution. When understanding the nature of our relationships and how a soul is learning more about itself through those interactions we need to take a deeper look into the nature of the archetypes Mars and Venus in our natal chart. These symbols can reveal a great deal of information about our relationship to ourselves and others as well as the karmic patterns that we create. Venus as a symbol is considered a personal planet which means we have a conscious experience of it in our lives. We are going to try to understand Venus from an intuitive perspective. Venus reflects both the constellation Taurus (yin/reflective) and Libra (yang/external). The sign Taurus reflects to us the instinctual evolutionary process of survival. An impulse that emanates deep from within us that when filtered through the human perception, becomes a basis of how we define our ‘’needs’’. What do I need to survive? We take this one step further and then develop a sense of values and link them to what we think we need, which originally stems from the impulse of survival. Make sense? The inner side of Venus now directly correlates to our inward dialog to ourselves (yin/reflective). What are my evolutionary needs? What do I need to attract to my life in order to survive? The constellation Libra is the outward vibration of Venus. This now reflects to us how we externalize that inward relationship to the outer world. This dynamic is what causes us to attract people and situations into our lives. How we express our values outwardly becomes a direct reflection of that internal voice. ‘’Be mindful of your ‘self-talk’, as it’s a conversation with the Universe’’. Another way we can learn about relationships is through observing nature, as it reflects ultimate truth through natural law. Every living creature in creation has needs in order for it to survive. These needs decide the location of its existence. A polar bear will not be found in Africa, nor will a fish be found in the middle of the Sahara desert. Similarly, our inner needs will be directly reflected in our environment and our relationships. We unconsciously attract people into our lives based on our evolutionary needs. Venus will also reflect the psychology of listening. This is connected to the Libra side of Venus. Many of us have at some point felt frustrated with another in our relationships due to the feeling of not being heard. When we are listening to others it is based on our own subjective inner dialogue. It is our own personal filter of understanding. This then creates the frustration within relationships in which we might say. ‘’I don’t feel like you heard what I meant!’’. Libra actually reflects lessons in learning to listen to another’s reality, as it is for them. This means feeling into another’s personal vibration. 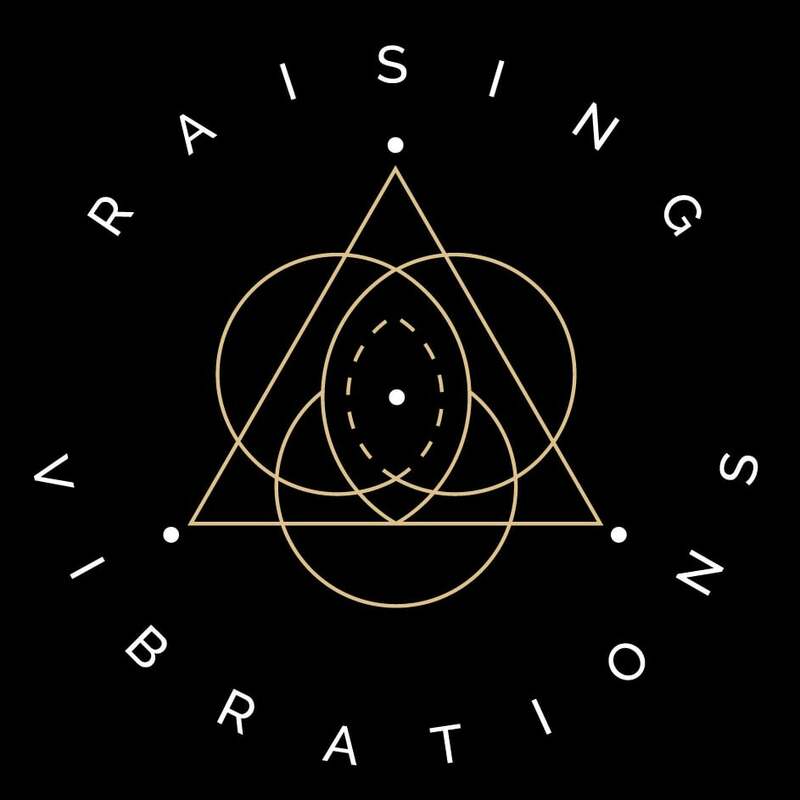 So you can see that the vibration of Venus can actually tell us quite a lot about the nature of how we interact with and relate to others and how we inwardly relate to ourselves. Pretty neat, hey? The vibration of Mars reflects the impulse of instinctual action, an action predominantly without forethought. Now through acting instinctually we learn about ourselves in the purest way. Through the process of acting instinctually we learn from the response of our environment more about our actions. As an example. A young child does not know the stove is hot. He places his hand on the stove and through the act of experiencing the heat on his hand then knows that it is hot. The feedback from the (stove) environment leads to an awareness that this is something he does not like. Progressively as we learn from our environment we gain more awareness of what is desired or undesired action. Linked with this process is the action of becoming self-aware in relationships relative to the placement of Mars. This is where we are instinctually discovering more about ourselves, which in turn requires total freedom. Each and every one of us is always in a constant state of becoming, in every moment learning more about ourselves. This is in fact linked with the evolutionary requirement within all of us. An interesting connection with the symbol Mars is that the sign Aries reflects the same vibration. Aries is the opposite sign to Libra in the Zodiac. So what happens here is that through relationships we have a contrasting factor where we through others compare and evaluate ourselves. We learn about ourselves through the mirror of others. So the placement of Mars in your astrology chart reveals where you need total freedom to instinctually act on your desires which will lead to self-discovery which then drives the natural progression of evolution in your soul. Pretty neat? The dynamic of karma influences our personal and intimate relationships. Each and every one of us has a shadow side to our nature. Just as the moon has a shadow side with no sunlight, similarly we have a shadow/unconscious aspect of our selves. Now deep within the unconscious, or shadow side exists the unresolved karmic stories. The emotional wounds from previous experiences, the traumas we dealt with and so on. When we interact with other people we unconsciously act from that space, sometimes being aware of it and sometimes not. The shadow can just simply be seen as areas of our lives which we need to become more aware of. The shadow can include everything outside the light of consciousness. From a metaphysical perspective I would describe it like this: Karma is a subconscious core belief that is conditioned or imprinted in you. This belief is then expressed into your reality. When you see it in your reality, you are then confirming to yourself (and you’re subconscious) that it exists. As above, so below. Your inner world is linked with your outer reality. Cancer (self-image) and Capricorn (outward definitions). As we become more aware of these karmic patterns, which will be triggered through our interactions with others, we are given the opportunity to let go of the way we have defined ourselves and heal the karma attached to them. Okay, so here is a basic outline in for the 12 signs. From here you can take the opportunity to compare and reflect with your partner and friends. You can use this as a guide to help understand the more unconscious dynamics that play out in your lives and to allow for an opportunity to build(Taurus) bridges(Libra) in understanding each other’s needs. Please keep in mind that these are merely brief descriptions of one layer of many when understanding the complex dynamics included using the tool of metaphysical astrology. This one layer still holds much insight and understanding. With the placement of Mars in Aries you are instinctively becoming completely free of restriction for the purpose of self-discovery. You are essentially starting a whole new evolutionary chapter and so you will need total freedom to explore the nature of this new impulse. In relationships it is important for the Mars in Aries person to have freedom to follow impulses that excite them. With the placement of Mars in Taurus you are instinctively becoming totally self-reliant. Your desires will be linked to your values. These values will be ones that are completely specific to you. In relationships it is important for the Mars in Taurus person to allow for the discovery of its own personal value system regardless of that of other´s. With the placement of Mars in Gemini you instinctively question the nature of your reality. Your desires will be linked to gathering facts, opinions and understanding the diversity of life in an intellectual way. In relationships it is important for the Mars in Gemini person to find someone who is willing to listen and communicate on a diversity of thoughts idea’s and facts and challenge their intellect. With the placement of Mars in Cancer you are instinctively seeking to create a secure and safe environment for yourself and your family. You are also learning to create total inner security. In relationships it is important that the Mars in Cancer person is made to feel safe and to be able to trust their partner. With the placement of Mars in Leo you are instinctively learning to be the captain of your own ship. You are desiring to actualize your special destiny and dreams. In relationships it is important for the Mars in Leo person to have positive feedback and the freedom to be actualize their special destiny. With the placement of Mars in Virgo you instinctively create inner self analysis through crisis. The crisis’s leads to understanding and self-improvement. In relationships it is important for the Mars in Virgo person to take time away from the endless lists of ‘’to do’s’’ in order to explore their own inner world and connect to a space of inner acceptance and compassion. With the placement of Mars in Libra you instinctively want to form a variety of relationships in order to expose yourself to how the values, beliefs, and personal ideas that exist for other people. This teaches you more about yourself in contrast others. In relationships it is important for the Mars in Libra person to have freedom to engage and interact in the social sphere. With the placement of Mars in Scorpio you are instinctively penetrating the depths of your own psyche to become aware of all the intentions, motivations and desires that exists within you. When you confront these aspects of yourself you liberate yourself from the limitations that they impose. In relationships it is important for the Mars in Scorpio person to practice self-reliance and inner security in order to free themselves of fear of intimacy connected to abandonment, betrayal and loss. With the placement of Mars in Sagittarius you are instinctively exploring and expanding the nature of your personal truth. You are asking the big questions. You are also learning how to directly experience your beliefs. In relationships it is important for the Mars in Sagittarius person feel the adventure of life and to have the freedom to explore the world and the universe however they feel the need. With the placement of Mars in Capricorn you instinctively need to unlock and break free from all forms of personal judgment, emotional suppression and personal rules and regulations. In relationships it is important for the Mars in Capricorn person to be made to feel safe and protected in order to allow deep emotions to surface without fear of judgment. With the placement of Mars in Aquarius you are instinctively liberating yourself from any patterns, lifestyles and environment that reflect something outdated. In relationships it is important for the Mars in Aquarius person to accept their own individuality and eccentricity. To be the innovator and allow for any revolutionary idea’s that surface to be acted upon. With the placement of Mars in Pisces you are instinctively actualizing all desires that are being visualized from within your psyche. This is for the culmination of an entire evolutionary cycle. In relationships it is important for the Mars in Pisces person to have the freedom to spend time in meditation of some sort. It is also important to follow any dreams however irrational they may seem. Some may manifest and others not but through acting them out the desire is still being manifested. If you have Venus in Aries your evolutionary needs are about responding to a feeling of special purpose in your life. Self-discovery and exploration of that special purpose is key, this is what drives you. You have a natural tendency to experience an emotional paradox where on one side you desire to be enmeshed in a relationship but then on the other side need total freedom to follow your own personal desire. Your balance comes here when you understand and express your need for freedom in order to actualize your special purpose which then in turn draws others into your life that value independence but also want to be in a relationship. If you have Venus in Taurus your evolutionary needs are about total self-sustainment and self-reliance. You in effect are extremely resourceful. There is a tendency to cause limitation within your life because you create the saying ’’ I have everything I need’’. This causes the dynamic in relationships in which you hold on to what only you value. This prevents you from understanding the other person’s values. Your balance comes when you challenge the security you hold in your values which then leads to you expanding your view on your values. You are also learning to share your resources. When you understand that your resourcefulness is unlimited and that you will not “run out” this will come naturally. If you have Venus in Gemini your evolutionary needs are about broadening your mental horizon through gathering many facts and opinions. Because of this inner orientation you gather and take in so much information that the center of gravity of what you know is constantly shifting. In relationships you can misrepresent yourself by not reflecting what is actually true for you as your expression is based on facts and opinions of others. Your balance here comes through developing a conscious awareness of what information you are taking in and how it applies to you specifically. By allowing this you can then express the truth of things via your own direct experience. If you have Venus in Cancer your evolutionary needs are about trust and safety. The need for protection and nurturing come from a deep feeling of insecurity. You naturally experience yourself as a mixture of ever changing emotions. There is a tendency in relationships to link your sense of security to another, this can create codependency and lead to feeling that your needs must be met by another. The balance comes here when you develop total inner security and that surety and self-reliance comes from within. When you do this, you naturally protect yourself from feeling abandoned by others. If you have Venus in Leo your evolutionary needs are about acting on the desire to completely actualize the feelings of a special destiny. There is a natural orientation towards seeing yourself as if you have the inner sun burning brightly within you. Within relationships there will be a tendency to feel that you need validation and appraisal. There is nothing wrong with this. Your soul is learning empower its personality. Your balance comes in where your security cannot be linked with others opinions but you must learn to value another’s reality as it is for themselves allowing objectivity. With the placement of Venus in Virgo your evolutionary needs are about self-improvement. This comes through cycles of crisis and humiliation that lead to self-analysis. A deep inner sense of doubt comes with this placement which reflects the intention to purify the ego. In relationships this can play a painful role in which you always feel the other person is constantly criticizing you. The reason for this is that you are inwardly coming from a space of self-criticism. This in turn draws people that reflect that very self-talk. Your balance comes in where you align yourself with a spiritual system that promotes direct access to the source. And to allow the dissolving of all judgments and inner sense of lack. Apply compassion and empathy for yourself. If you have Venus in Libra your evolutionary needs are about understanding balance, fairness and creating equality through extremes. In relationships your natural way is to experience total commitment to knowing and facilitating another person’s needs. At this point you lose your own sense self which leads you to isolate yourself from any social interaction. You are trying to learn the value and identity of yourself through the constant contrast others. The balance comes in where you listen to your own needs instead of always listening to others. This will create the dynamic were you express and communicate your inward needs as they are for yourself. This will help you balance between who is you and who is another. If you have Venus in Scorpio, your evolutionary needs are about confronting and examining the orientation of psychological your limitations. The placement creates an awareness were you come to understand your motivations, desires and personal agendas. Deep feelings of mistrust do arise with this placement as well as deep feelings of abandonment, betrayal and loss. In relationships these feelings occur because you can place your security in and become fixated on others. When the nature of these attachments change and are removed a coil effect occurs in which you are forced in on yourself. The effect promotes focus and understanding of your outer attachments and then to bring you into alignment that all security comes from within. Balance comes here in which you embrace the nature of total inner security through self-reliance and self-sufficiency leading to personal re empowerment. If you have Venus in Sagittarius your evolutionary needs are about exploring and expanding the nature of your philosophy. You naturally seek a deeper knowing and understanding of the universe by asking the big questions about life. In relationships you will seek someone who is wanting to explore and grow alongside you. Feelings of alienation can arise as the depth of your truth isolates you from others truth. This creates alienation, because you feel you are never understood. Because security is linked with our beliefs, there is a tendency to try to convince others to your truth, believing it is the totality of the truth. Your balance comes in where you embrace the diversity of others truths relative to your own. What my version is in comparison to yours. This naturally stops the feeling of need to convince and convert another to your personal truth. If you have Venus in Capricorn your evolutionary needs are about learning to access your inner emotional nature without fear of judgment. This can be a difficult task because from a very young age you were shown that emotions meant weakness. There are also times in which you had to suppress your emotions or reject what you felt due to living under very strict moral codes that did not reflect your true inner nature. This also meant growing up having to be really responsible. In relationships you may tend to control and suppress others emotions. You can also feel expected to take care of everyone but forget about yourself. Your balance comes in when you allow your inner child to be present and your warmth to be accessed and expressed even if it seems like you are losing control. If you have Venus in Aquarius your evolutionary needs are about liberating and breaking free from and deconditioning yourself from any preexisting values and identities. This is needed so that you can directly experience your inner individuality. Along with this process you can feel completely alienated from the environment. You require a relationship that is willing to challenge the existing norms and cultural norms. The balance comes here where you learn to embrace your unique perspective and individuality. It is important to allow for your creative expression to be heard, to never reject your inner sense of self and to live in line with your unique value system. If you have Venus in Pisces your evolutionary needs are about aligning yourself and living by a value system that reflects transcendental ideas and concepts. Due to the nature of Pisces you inwardly experience your reality like an ongoing flow of images. Because you operate in this way, in relationships you can experience moments of disillusionment in which a different reality get revealed to you vs the attachment to a reality that was imaginary. The balance here is to embrace an introspective perspective where you analyze your inner world. Practicing discernment allows you to objectively understand the difference between what is actual reality and just random images that you have attached yourself to. This will aid in protecting yourself from disillusionment. I hope you are able to find some insight into of your own personal life story as well as your friends, family and partners. Please be sure to read the article understanding the SUN and MOON Signs to further your astrological awareness. Again, these are merely the tip of the iceberg when it comes to understanding the energetic blueprint of a soul. In a personal chart analysis or relationship chart analysis it is important to use a holistic approach and to see how these energies are interacting with each other.